The studio then said: “Ok what about hearing the helicopters?” Alfonso, once more, said “no”. The studio then suggested adding a radio giving her coordinates, promising help. Alfonso said “no”. Once more an ending made of Air, land and water. 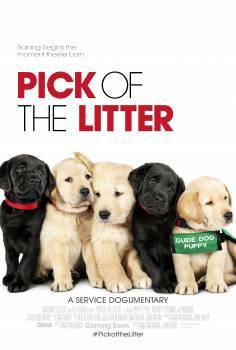 Pick of the Litter was one of the highlights of Washington DC’s AFIDocs documentary film festival. It follows five puppy siblings, all with names beginning with P, as they go through the extensive training and rigorous tests over two years to become guide dogs for the blind. Only a fraction of the dogs bred for the program have the temperament and skills for the job. We follow Patriot, Poppet, Primrose, Phil, and Potomac from birth to their ultimate place in a film that is exciting, funny, and always heartwarming. In an interview, directors Dana Nachman and Don Hardy, Jr. revealed their own favorites and described some of the behind the scenes choices and challenges. Before we even meet the puppies, we get to hear from people whose lives have been saved by guide dogs. Why did you want to start with that? DH: It’s really a life and death thing and what these dogs do is really extraordinary. So if you start there, then you can go back to the little bundles of fur and the people. DN: It was very important to us to show what was at stake before we get to the cuteness of the puppies. It is essential to set that tone. Your camera work was really impressive. At some points you had us at dog level. And for some essential conversations, you had us at both ends of the phone calls. DH: It’s something we talked about from the very beginning, trying to tell it from that point of view of the dog. So we’re on the ground a lot. We’re trying to just stay in that world. DN: Typically you see a lot of dog stuff just shooting down at the dog and we just didn’t want that. It really diminishes them if you’re coming from the upper angle whereas if you’re down low then you’re in their world and experiencing it like they do. DH: We started with the big shoulder mount camera that is typical. It was fine when the dogs were small and didn’t move a lot but then once they got big they got faster. And they train the dogs really fast. There was no way to keep up. So we developed this little steadicam-like system, a small camera on a gimbal. And then I plug that into a monopod so then I could swing it down very low to get the dog’s eye level and then go up really high to to almost look like a drone. And they’re inexpensive cameras so we ended up with a couple of them and so for a few key sequences Dana was shooting too. It just would all pair together well but it was a big undertaking to make this thing look like cohesive. So much of the training of the dogs has to do with focusing their attention and not letting them get distracted. How did you get all the footage you needed without getting in their way? DH: That was a big concern early on and we thought it would be maybe prevent Guide Dogs for the Blind from allowing us the access that we needed. We’re always going to be in the way. So that was another reason we had to develop this lightweight camera system to be able to not interrupt anything; there was no stopping to say, “Can you do that again?” We just had to keep up. But their response is interesting. They said that we’re just another distraction that these dogs have to deal with and it’s just part of life. We did a lot of the shooting ourselves so they just got to know us and I think we were just part of the training in a way. DH: It’s important in whatever story you’re telling to remember that the life the real events going on is more important than you. How did you get started on this story? The dogs are wonderful, but the people are pretty wonderful, too, so dedicated and kind. I love their euphemism for the dogs who don’t make it all the way through the program: career changed. DN: And some of the best parts in this film. They take it all very seriously. It’s almost a quasi Best in Show. It’s not even that you’re making fun of that. They own it. It is an earnestness that really resonates with me. DH: I’m #teamphil. They really say and it turns out to be true that the dogs choose. If you think of it that all of these dogs are doctors but only a few of them can be brain surgeons. They’re all like very incredible animals but only a few can do this job which is has life and death stakes. 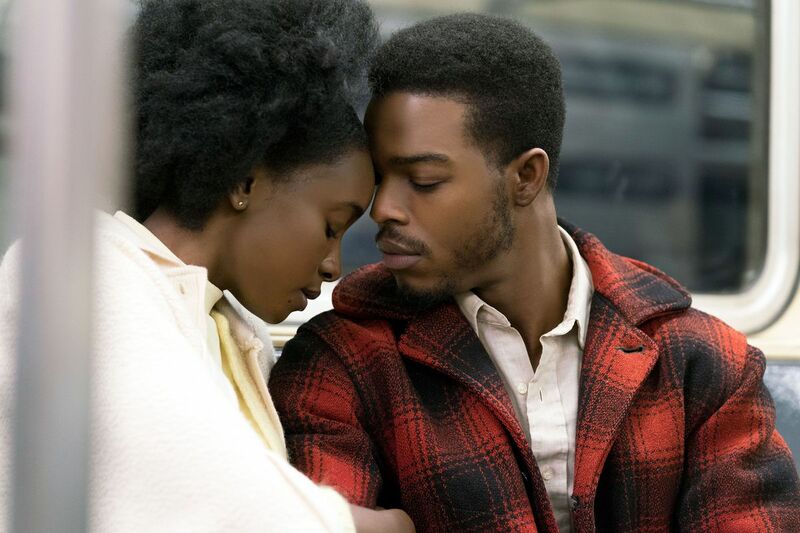 DN: And I hope one of the things that people take away from the film too is that anybody who has a dog or has had a dog — it is a profound relationship. Even just for a regular person who has nothing wrong with them per se, it really is a life-changing relationship and we all know that. Previous PostPrevious Get Over 100 Award-Nominated Screenplays! Patrick Creadon’s new film about Notre Dame’s Father Theodore Hesburgh is one of my favorite films of the year. 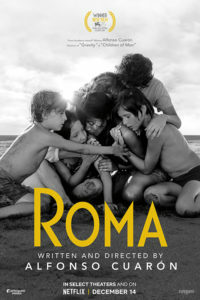 Like the popular documentaries that came out this year about Supreme Court Justice Ruth Bader Ginsburg and Mr. Rogers, it is an extraordinary story about an extraordinary life, devoting much of its focus to Father Ted’s work on huge, complex, controversial issues like civil rights, but it also shows us how small kindnesses made a big difference in the lives of students and other individuals. And it includes an interview with my dad, Newton Minow, who was invited by Father Ted to become the first Jewish trustee of Notre Dame University and who became one of Father Ted’s oldest friends and biggest fans. The film will be shown September 4, 2018 at the Midwest Independent Film Festival. In an interview, Creadon, also the director of the delightful “Wordplay” (about crossword puzzles and the people who love them) and the provocative “I.O.U.S.A” (the threat that debt poses to the US economy), talked about the most important lesson he learned from Father Ted. This film had a special meaning for Creadon and his wife Christine O’Malley, who co-produced it. In fact we were one hundred percent independent from the school and from the Hesburgh family and from the Holy Cross congregation of which Father Hesburgh was a member. We raised the money independently and we had final creative say. That was critically important because I didn’t want anyone looking at the film and thinking this is like a promotional piece for the university; it isn’t. We had the same journalistic approach to “Hesburgh” as we did for any of the films we’ve ever made but at the same time it was very personal for us. 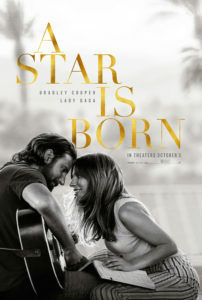 I think we do our best work when we pick projects that we really feel connected to but at the same time it was important for us to make a film for general audience, we were not making a film for the Notre Dame community, we were making a film for general audience. Creadon said that even though he could not remember a time before he knew that Father Ted was an important figure in America, at Notre Dame, and to his own family, he learned a great deal in researching the film. The things I knew about Father Hesburgh when we began are the following: I knew that he had received 150 honorary degrees which is in the Guinness Book of World Records, I knew that he had served on 16 presidential commissions and I knew that he was the president of Notre Dame for 35 years. I think for a lot of people, that’s kind of all they know. They don’t know why he was chosen to do all that work, they don’t know what were his qualities as a human being, what were his leadership qualities. What we found in the 18 months that it took to make the film, what we discovered, was that more than anything he had a very strong moral compass. 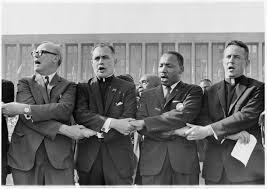 For one he knew the difference between right and wrong always and always tried to do the right thing but more importantly I think the defining quality of Father Hesburgh is that he enjoyed bringing people together. He truly enjoyed the friendships, the diplomacy, and the finding common ground that it takes to move our society forward. It was Father Ted’s genuine love for people that made it possible for him to create consensus on the most intractable issues. He was a problem solver and he was very, very good with people. People liked him. Even though he was fully committed to his Catholic faith and his Catholic heritage he was one hundred percent tolerant and respectful of other people’s faiths or people who did not have a faith. He was not a, ”It’s my way or the highway” guy. He was not that way with his politics, he was not that way with his faith, he was not that way with his style of education. It’s, “Let’s find common ground” and “Let’s aspire to be the best individuals that we can be.” That’s who Father Ted was. I have one hundred percent faith in the sense that we’re going to get through the problems today and we’re going to find our way back to each other. Over and over in the film, we see Father Ted bring people together to solve problems through patience, endless energy, a genuine curiosity about how different people saw the world, and by setting an example of integrity and goodwill. Remember Hesburgh was only 35 when he became president of Notre Dame. He was 40 when he was chosen to be on the Civil Rights Commission and the average age of the other five commissioners was 65. He was a kid; he was a generation younger than all of them but I think Eisenhower saw something in him and had seen his work in some other arenas and he said, “I want to get that guy on the commission.” What you come to understand is that the commission could’ve easily failed; they didn’t get along. The commissioners didn’t really get along; they were Northerners and Southerners, Democrats and Republicans. The commission was really a reflection of the country and Hesburgh for one wanted victory. He wanted to accomplish the mission. Father Ted is almost like an Indiana Jones character. He would just go off to do these very important missions that people couldn’t figure out how to fix. He had an ability to try to encourage people to bring out their best selves. I think because of the way he lived his life he wanted people to rise to the occasion. He did that in a quiet way. He certainly wasn’t a yeller, he wasn’t demanding, he wasn’t mean spirited, he was just one of the good guys. I’ve come to understand what great leadership really looks like; it looks a lot like Father Ted.